Membership of the Study Group is just £20 per year for UK, £25 for Europe, £37.50 or $55 for rest of the world. Join Online and Pay with Paypal! STOCKHOLMIA 2019 joint FIPSG and PPHSGB meeting. 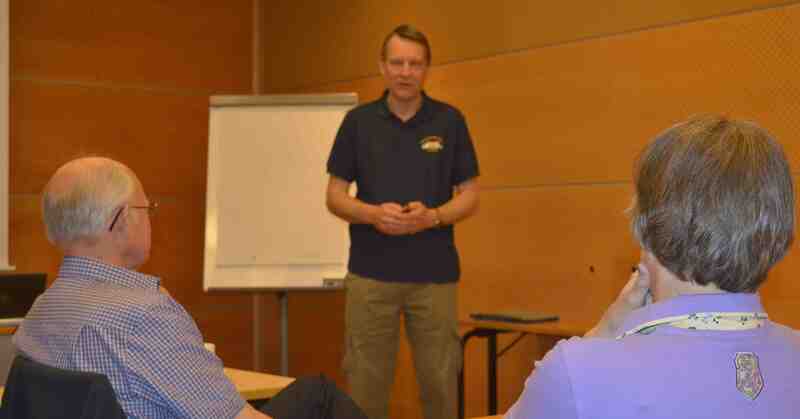 We have arranged for a joint FIPSG and PPHSGB meeting during the Stockholmia 2019 exhibition, which takes place the 29 May to 2 June 2019 in central Stockholm. The exhibition celebrates the 150th anniversary of the Royal Philatelic Society of London. What: Three main displays, electronic and/or physical + some additional smaller displays by those participating, time permitting. Followed by a joint dinner in the evening of the same day. Where: Italian restaurant Primo Ciao Ciao (address: Kungsbroplan 1) which is in the local area within easy walking distance close to the Exhibition. Cost/Menu: Moderate / everything from pasta and pizza to meat, fish and vegetarian dishes. Those interested in participating in one or both activities are asked to contact Stefan Heijtz (stefan@novastamps.com) so that we can get an idea about how many we might be. Anybody interested in giving a display can also contact Stefan as soon as possible. So far around 15 members have indicated their presence. The results of this live auction are given below. Also the unsold lots available if you contact the Auction Manager, details on the front of the catalogue. Be quick as always, since many lots will sell fast. Thanks again to Mike Roberts for all his work as Auction Manager and a very exciting sale with several items reaching many times estimate in the room. A reminder of the South West meeting on 12th May. 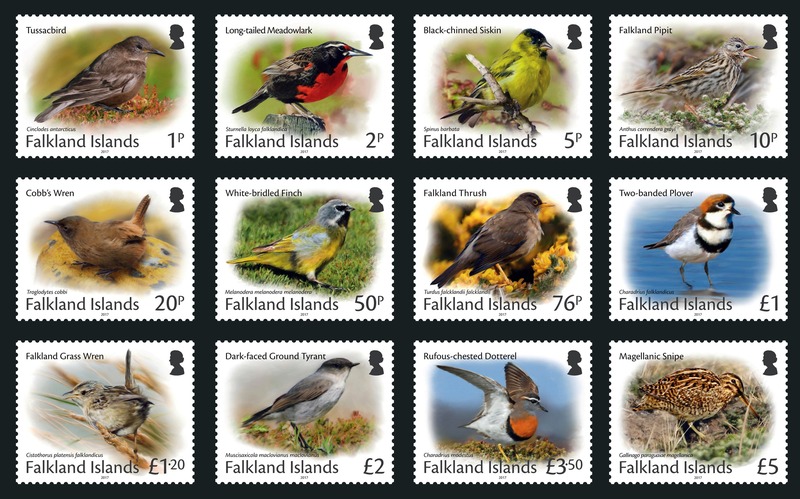 There will be the usual mixture of West Country hospitality and Falkland Islands philatelic gems! Tea, coffee and a light lunch are included just for £5! The programme is as follows. For more information contact Richard Griffiths. The 2019 Spring "Goose" has Flown! February 12th - You hopefully will be receiving your Spring Upland Goose that includes the March auction catalogue in the next few days. If you do not receive your copy (especially overseas) in the next two weeks, please let us know via the Membership Secretary. For reasons of cost, it is not possible to produce a colour catalogue of Study Group auctions, so we continue with the catalogue in present form. 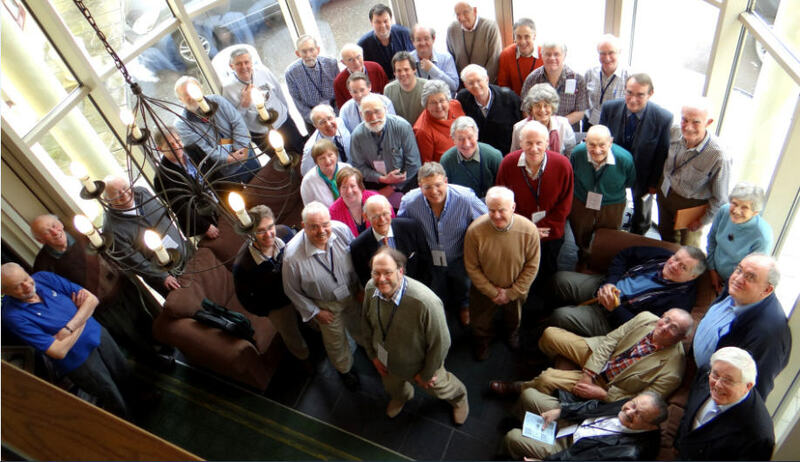 There is also an opportunity for those attending the Study Group Weekend and Gildersome regional meeting to view all the lots for the March and October auctions. However, the Committee feel the time is right to include some colour illustrations of lots on the Study Group website for all Members to be able to view. As loading an illustration of every lot would involve much effort for volunteers, we have illustrated all items with an estimate of £75 or more, or the top 10 items dependent on estimates. It is emphasized that the auction is only open to FIPSG members and the proceeds of commission are used exclusively for publications and research relevant to the Study Group. To view the illustrations go to the Auction Lots tab on this website. The Winter "Goose" has Flown! 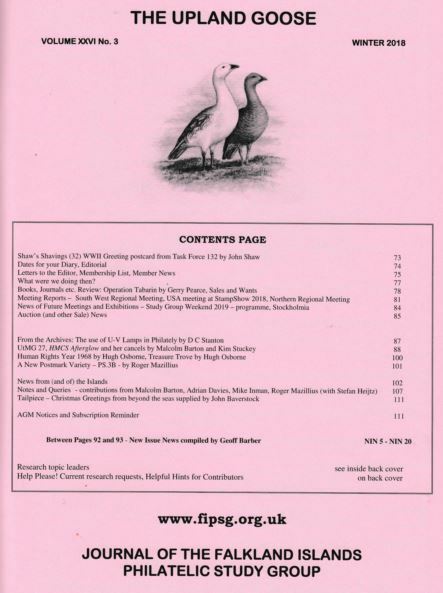 You hopefully will be receiving your Winter Upland Goose that includes the Study Group Weekend programme. If you do not receive your copy (especially overseas) in the next two weeks, please let us know via the Membership Secretary. 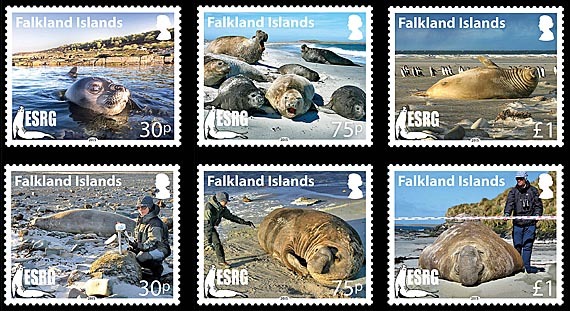 GROSVENOR's next specialised section of Falkland Islands & Antarctica will appear in the British Empire & Foreign Countries auction at 2pm on November 20th. This is a high quality sale, especially in postal history, with an early Whaling letter, the only Black Frank cover to Montevideo, New Island and a particularly strong South Georgia and Antarctic Expeditions section. Go to www.grosvenorauctions.com for more details. The results of this postal auction are given below. 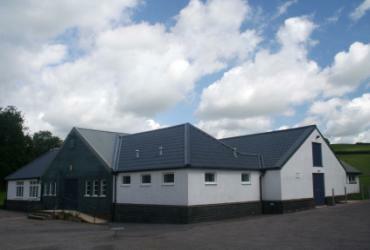 Also the unsold lots available if you contact the Auction Manager, details on the front of the catalogue. Be quick as always, since many lots will sell fast. Thanks again to Mike Roberts for all his work as Auction Manager. The Autumn "Goose" has Flown! You hopefully will be receiving your Autumn Upland Goose that should include the October 2018 Auction catalogue and booking form on the outside for the Study Group Weekend. If you do not receive your copy (especially overseas) in the next two weeks, please let us know via the Membership Secretary. There will be a FIPSG meeting on Friday, August 10th at the annual APS StampShow 2018 in Columbus, Ohio. The Meeting time is 10AM in room B232. Program to be announced. The show will run from August 9th to 12th. 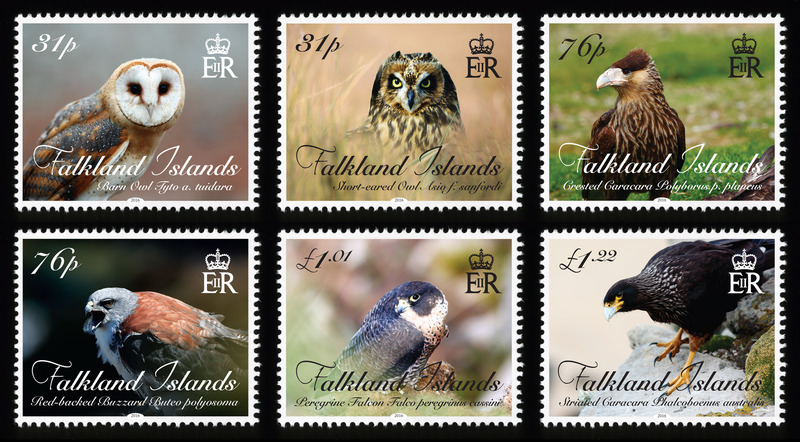 In addition to the meeting, there will be two Falkland exhibits in the Open Competition. 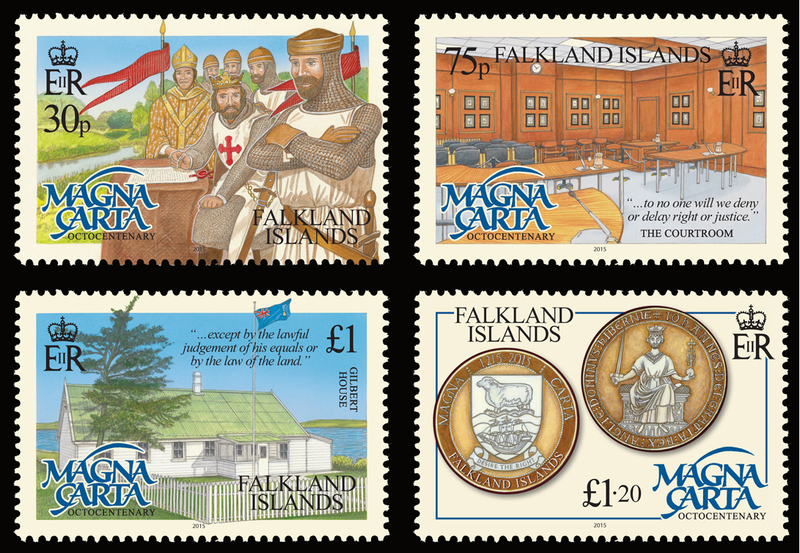 "Postal Items of the Falkland Islands in the Queen Victoria Period" by Alan Barasch and "Falklands or Malvinas?" by Mark Butterline. 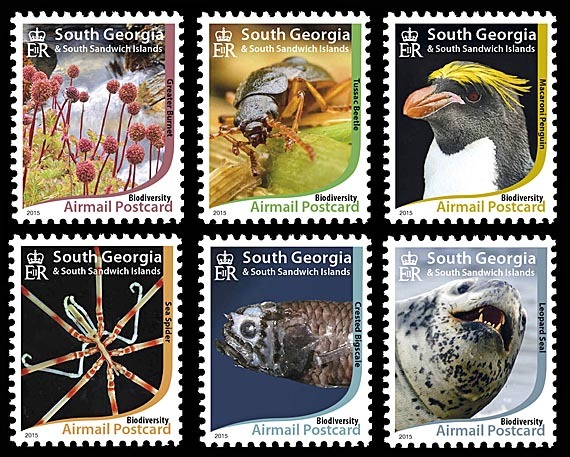 The Polars (American Society for Polar Philatelists) and Penguins (Penguins on Stamps Study Unit) will also be in attendance. Carse Map: © Directorate of Overseas Surveys 1958 the stamp is licensed under the Open Government Licence 3.0. The Study Group Committee wish all our members and visitors to this website a peaceful and joyous Christmas and New Year. We hope to see as many of you as possible at our meetings in 2018. When visiting this site it is always worth visiting our Online Resources Page. 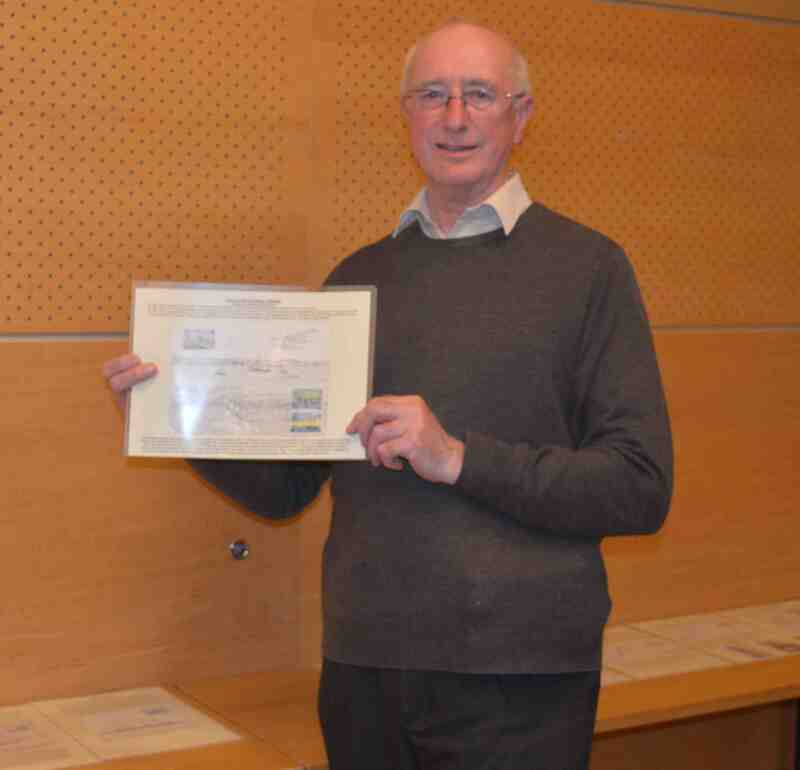 Hugh Osborne has graciously allowed us to put up pdf's of his Gold Medal winning display exhibited at The Nordia 2017 exhibition held at Vejle, Denmark 27 - October 2017. For full details go to the Online Resources page. 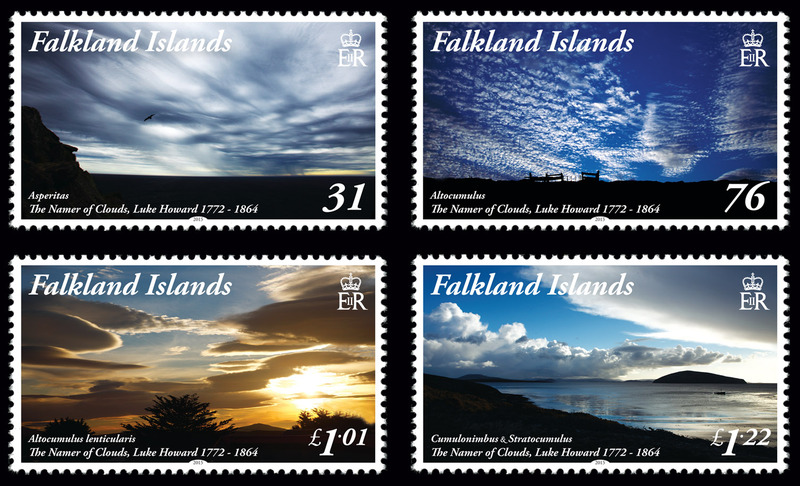 Hugh Osborne started by showing a selection of South Shetlands postal history, starting with a Port Foster piece, several Deception Island postmark covers, a number of South Shetlands postmark covers, and finally a 1934 non-post office period cover with letter headed Deception Island. John Godfrey followed with a selection of mainly mail into South Georgia, although it also contained mail from South Georgia. Of particular interest was a registered cover from Finland to SG, returned with an added SG provisional reg label. Dave Mountfort showed us a nice selection of covers related to "famous" people within Falklands philately, including William Barlas, Nutt Cartmell, Karl Lellman and Father Monaghan. Many of the Lellman and Monaghan covers were illustrated and of very high artistic standard. Stefan Heijtz showed the final display which was a "scrap book" which came from Ronnie Spafford's estate (and which would have been thrown away unless Stefan had given it a new home) containing a lot of background illustrations used for Ronnie's book on the 1933 Centenary issue. 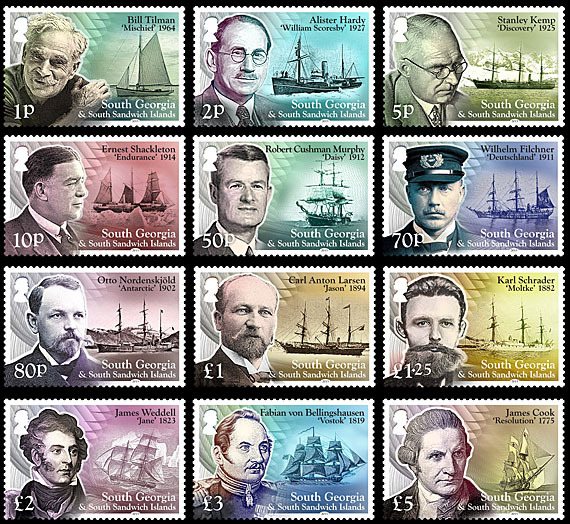 There were photographs, prints or copies of all the illustrations used for the design of the stamps, some even signed by George Roberts. The allocated two hours passed quickly and were most enjoyable, and all were in agreement that it was a pity that not more members could attend. In the evening the group (less Bjorn Sohrne) gathered at the Finnish restaurant Heinätori in an old hay weigh station in the old part of Tampere for a meal together. 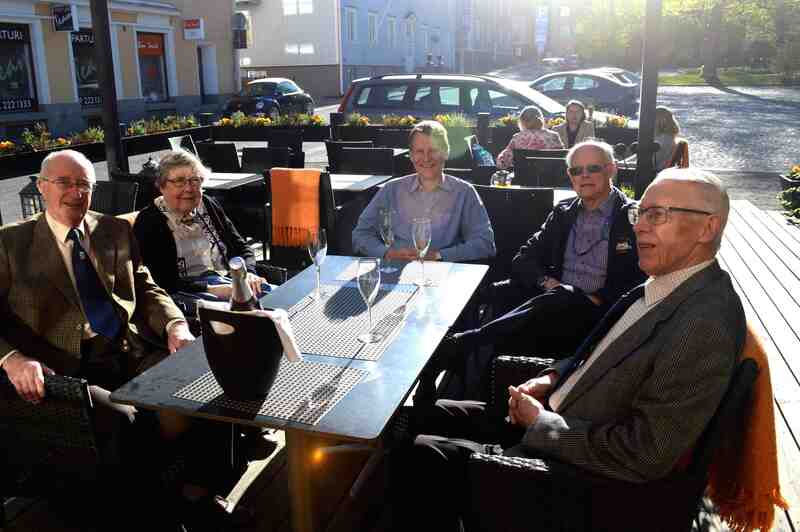 It was a sunny evening so we started with sparkling wine outside in the patio, and then continued inside for a hearty and most enjoyable three course dinner with wine and coffee, which pleased all tastes. After the dinner we all walked back to the hotels in the bright Nordic night. Two new items have been added to the Online Resources page. 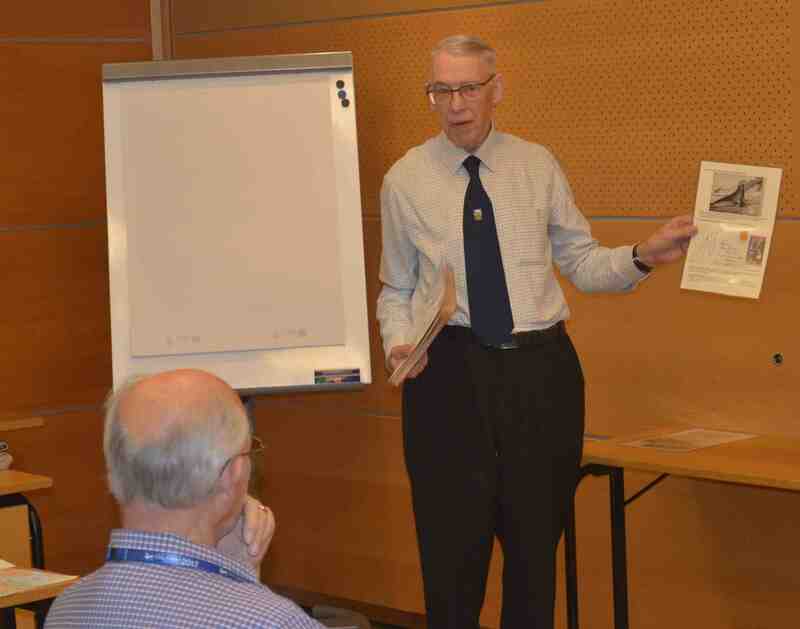 Firstly, the excellent presentation given by Hugh Osborne at the 2017 Study Group weekend on the 1960 Birds Issue sheet numbers and postal history. Secondly the known dates of the New Island N.1 and N.2 cancellers between 1909 and 1917, as presented in the Upland Goose Winter 2016 Under the Magnifying Glass article. Enjoy! There is a new page on my website about the Fox Bay Post Office Museum. This page consists basically of a number of articles from Penguin News and the London Philatelist about the Museum, as well as a link to download a PDF with the full story of the renovation and creation of the Museum, through 81 slides. 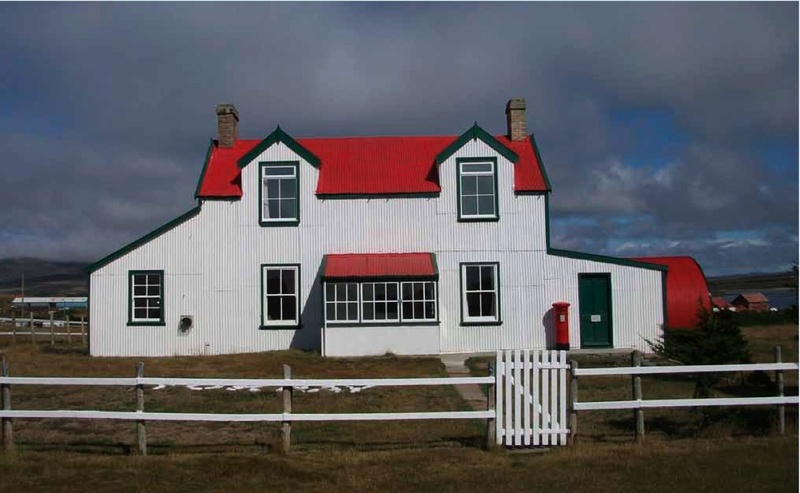 There is also a link to the Falklands Museum website, which has dedicated a page to the Fox Bay Post Office. 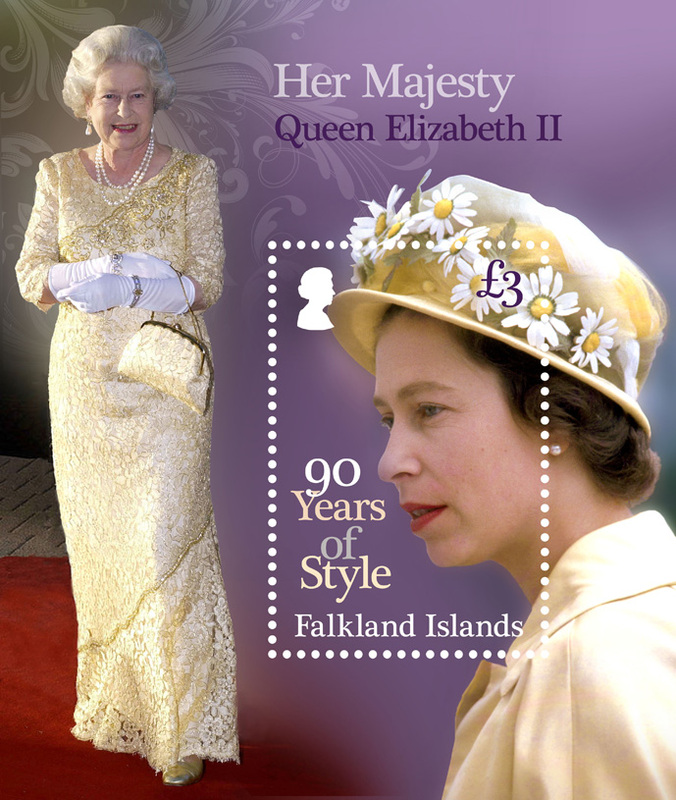 The Falkland Islands Government Archives have uploaded to their website scans of the Falkland islands Magazine from the first magazine in 1889 to 1933. This magazine contains invaluable details on shipping, visiting ships and people and places in the Islands. Also loaded are a transcription of the first two shipping registers. When visiting this site it is always worth visiting our Online Resources Page. 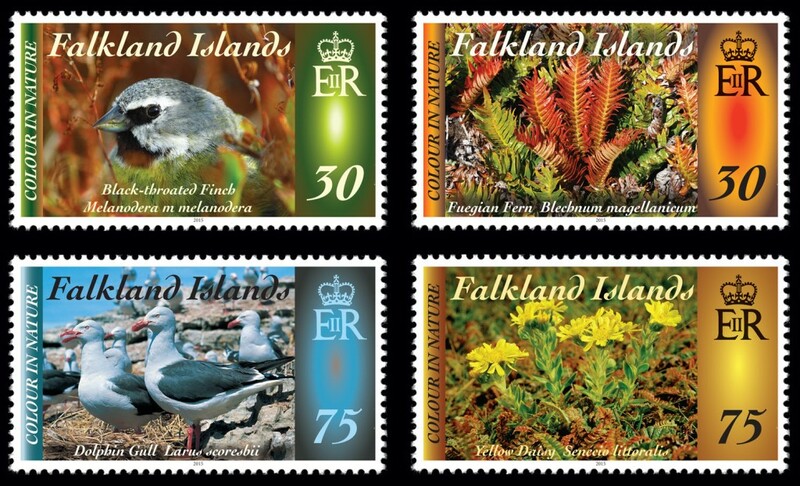 Here we add interesting documents, presentations and links to Falklands research resources. 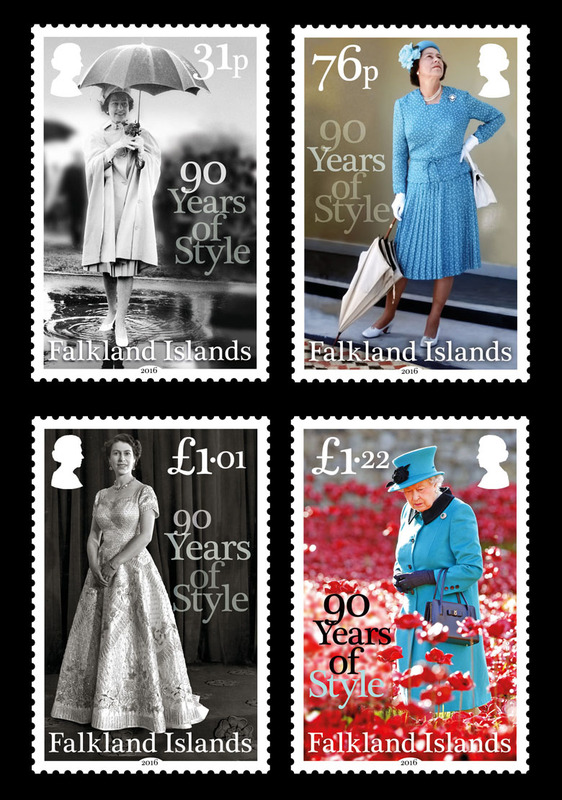 Our latest offering is due to Hugh Osborne giving the Standing Display in July and August 2016 at the Royal Philatelic Society of London. 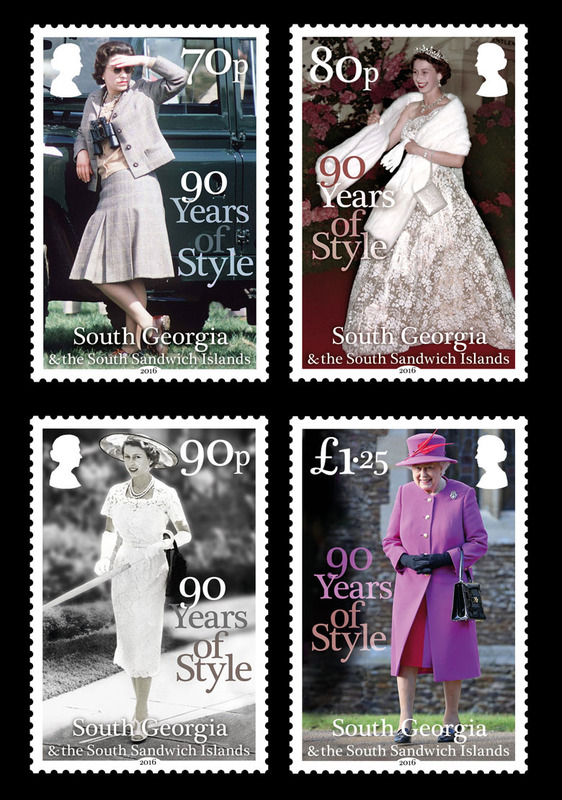 The link below takes you to a presentation of the display, which majors on South Georgia Postal History until 1945, but also has interesting sections on South Shetlands and Operation Tabarin. It can also be accessed via our Online Resources page. Designers: Bee Design . Photographs by Tim Graham, Anwar Hussein, Central Press and Max Mumby. m/s photography by Ray Bellasario (border Tim Graham). Designers: Bee Design . Photographs by Alpha Photo, Fox Photos, Keystone and Chris Jackson. m/s photography by Ray Bellasario (border Miles Willis). 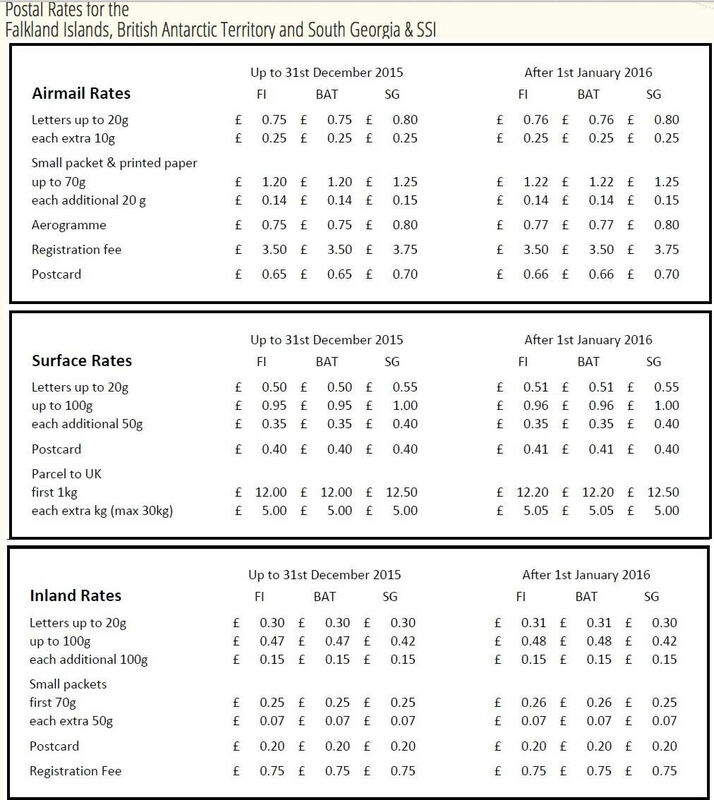 Attached are details of the new postal rates effective 1st January 2016. Some interesting rates will be possible! 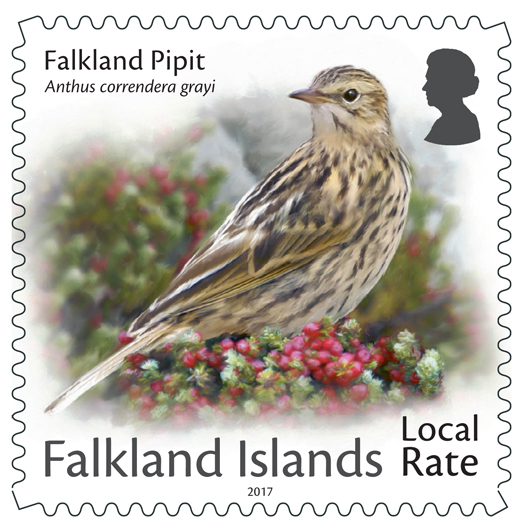 Geoffrey Barber notes: Most unusually, not only did the three territories latest postage rate increases not increase by the same amount, but also DID NOT INCREASE ON THE SAME DAY. 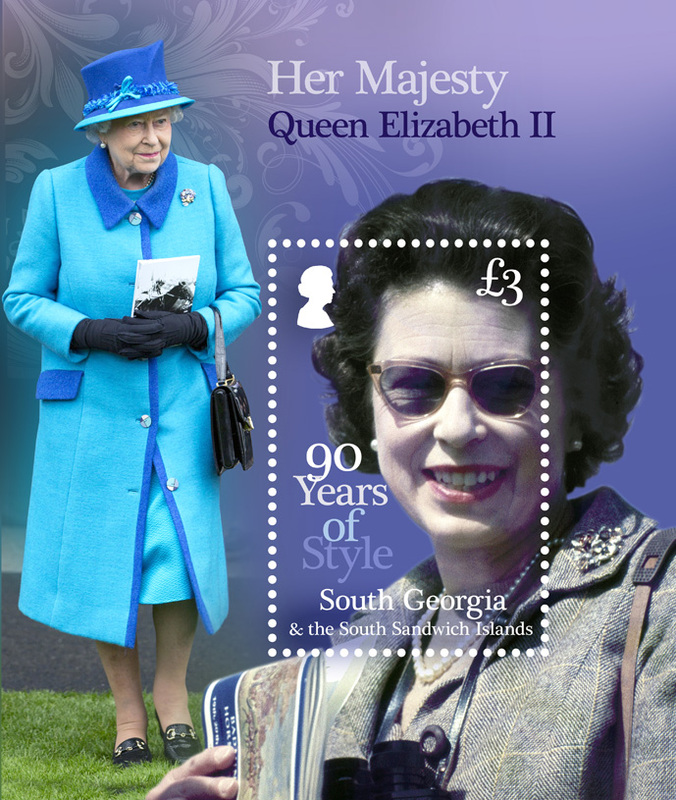 South Georgia increased on 5th January 2015, coinciding with issue date of the new SG definitive, whilst FI & BAT increased nearly a year later on 1st Jan 2016. Thanks to Roger Mazillius for showing an interesting War Stamp variety. The type has moved in the frame, leaving a gap between STA and MP on a line perf example. Any more of these spotted by our collectors? 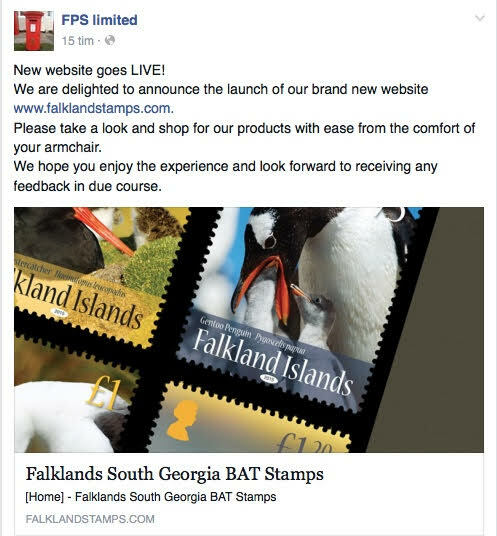 With thanks to Stefan Heijtz for the information, the new Falkland Islands Philatelic Bureau has been launched. FI stamps have been brought screaming into the internet age with (at last!) the ability to order items from the website. First impressions are that the website looks crisp and modern. Do take a look and please let the UG editor know any feedback on the site and your shopping experience!